If you are looking to install a new walkway or stone patio or replace a damaged existing one, you could simply replace it with the same material you used before, or you could spice it up by using decorative concrete to give your outdoor space a truly distinctive look. Despite what you may think when you hear the word “decorative,” this type of concrete is incredibly resilient and durable, making it an excellent choice for all-season use outside. In fact, with proper attention and care, decorative concrete will last just as long as regular concrete, and often much longer than stone pavers. This attribute can really come in handy if you use it for something that sees a lot of action, such as a walkway or sidewalk. It can also be a great option for your deck or patio, especially if you entertain at your home frequently. Concrete provides a consistently stable and level surface, perfect for placing chairs, tables or grills to keep your family or your guests comfortable and entertained. 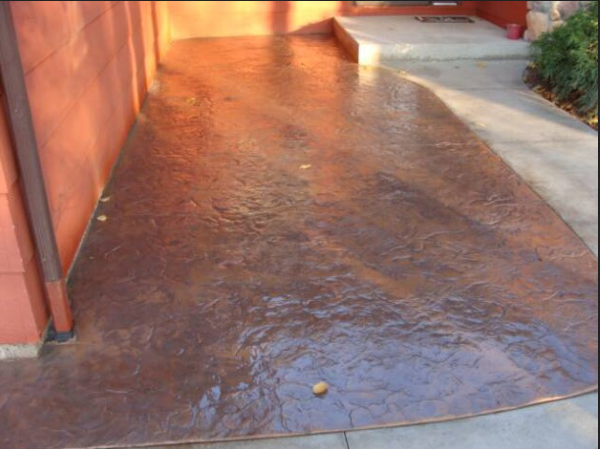 Decorative concrete’s durability is also great if you live in an area that sees extreme weather. 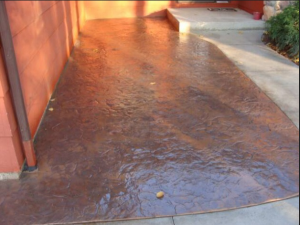 No matter what may be falling from the sky – rain, snow, sleet or hail – a patio or walkway made from decorative concrete won’t crack or break easily. There are numerous stamping options available as well that can help give your patio the look of individual stone pavers at a fraction of the cost and with improved longevity. Decorative concrete is also available in a wide variety of colors, making it easy to match the color of your home or to provide a cool accenting contrast of color to make your patio pop. There are also antiquing colors available that can give your patio an even more realistic look. Templin Concrete Construction specializes in a wide variety of concrete projects, including the removal, replacement and new installations of decorative concrete. If you are interested in getting concrete work done at your home or to get more information on our services, call us today at 612-388-1945!